A new head of design comes to Rolls-Royce Motor Cars with the appointment of Jozef Kabaň, the 46-year-old designer who had the same role at parent company BMW since 2017. Kabaň comes with a distinguished and versatile resume, having completed his studies in Bratislava and London, graduating with a Master of Art in Car Design at the Royal College of Art in London. At the age of 20, he joined VW Group as one of their youngest designers and, by 1998, was appointed project lead for the Bugatti Veyron, achieving considerable acclaim for that supercar’s exterior styling. Subsequent stints at Audi AG and then Skoda allowed Kabaň to explore a whole new design language for the popular VW brand from the Czech Republic. Kabaň succeeds Giles Taylor, who oversaw design of the new Phantom and Cullinan projects and left Rolls-Royce in 2018. Assuming the role of designer at Rolls-Royce Motor Cars is a job not to be taken lightly. While other manufacturers can afford an errant crease here, an exaggerated line there, the cars from Goodwood are held to a design standard beholden to tradition and defined by elegance — one requiring equal parts innovation and Old-World sensibility. Much like the Swiss watchmaker whose message to customers is that they really never “own” the timepiece they wear, Rolls-Royce designers aren’t so much mavericks, but rather, stewards of a multi-generational evolution, begun with the first car to bear the Parthenon grille, all the way back in 1906. And yet, under the aegis of parent BMW since 1998, and with the launch of the new Phantom in 2003 under then chief designer Ian Cameron (retired 2012), Rolls-Royce has been on a (apologies) roll, introducing a range of models that include coupe, convertible and four-door designs more adventurous than one might have expected of the stoic marque. In short, more variety than ever from a brand that remains at the top echelon of luxury as it strives to attract the attention of younger, style-conscious customers. 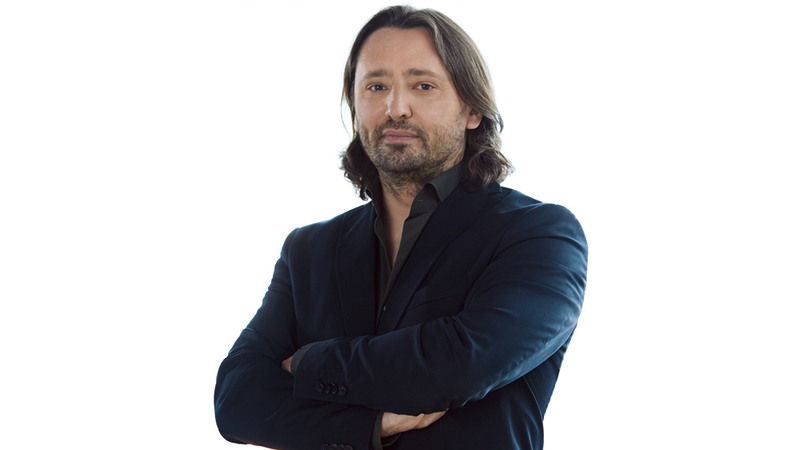 Jozef Kabaň, the new head of design for Rolls-Royce Motor Cars. Photo: Courtesy of Rolls-Royce Motor Cars. We’re eager to see what comes down the road from Goodwood under the pen of Jozef Kabaň and his team. While it’s sure to have a Parthenon-inspired grille topped by the Spirit of Ecstasy, we suspect it will be inspired by the broad stroke of invention that keeps more than a century of automotive tradition relevant today.